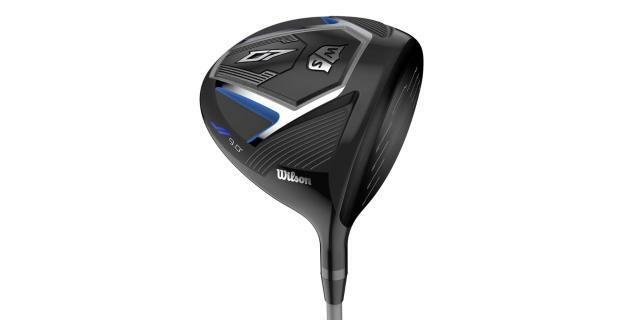 Wilson Golf has revealed its latest range of woods, including the Wilson Staff D7 driver that features lightweight distance technology to encourage greater levels of forgiveness and yardage from the tee. This is made possible through RE-AKT Technology, a combination of Superlight Design and Reactive Face Technology, delivering faster club head speed and increased ball speeds for longer distances. It also features Dynamic Launch Control to optimize launch conditions for different player types. The forgiving D7 driver features a radical lightweight crown design, removing excess weight from the club head and improving sound with [K]omposite Crown Design. The D7 crown features a layer of Dupont Kevlar® for vibration (sound) dampening, which is sandwiched in-between two layers of carbon, weave on top and unidirectional underneath. “The process of creating the D7 driver started with designing the head shape and then stripping out all available weight, almost 25 grams. This weight was strategically returned to the head with the goal of improving the sound of the driver and optimizing ball flight with Dynamic Launch Control,” said Jon Pergande, Global Innovation Manager at Wilson Golf. Dynamic Launch Control is offered in three loft options to aid different swing speeds: The 9.0o degree for players with a fast swing speed with weighting forward in the head for lower launch and spin; the 10.5o for those with a moderate-to-fast swing speed with weighting in the middle of the head for a higher launch and spin, and the 13.0o is perfect for a slow-to-moderate swing speed with weighting further back and towards the heel for the highest launch and a draw bias. 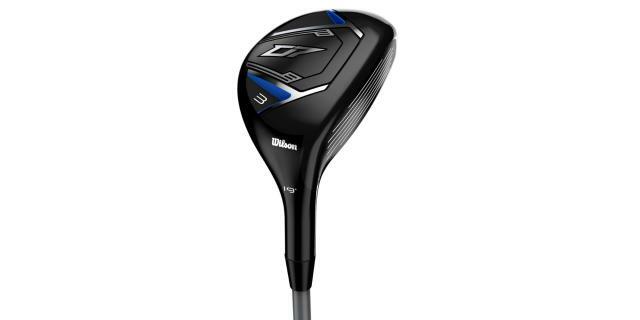 Wilson Staff D7 fairway woods and hybrid club is a dramatic change to previous distance versions, starting with a head shape inspired by input from Wilson Tour players. The new Lightweight Crown Construction features thin-cast pockets, saving five grams of weight, which promotes the SuperLight Design. “We’ve modified the structure where we need it and removed weight where we didn’t want it and it’s made a significant gain in performance,” said Jon. “As with the driver, the D7 fairways and hybrid can be swung faster with the same effort, resulting in more distance,” he added. A Carpenter Custom 455 Stainless Steel face insert provides a thin, hot face, increasing both feel and distance. The D7 fairway wood is available in three loft options – 15? (3-wood); 18? (5-wood); and 21? (7-wood) - with the same UST-Mamiya Helium Series shaft and Wilson Staff MicroLite Lamkin grip as used on the driver. Left hand models are available in 15° and 18° loft options. Available from mid-January at an RRP of £149 (€169). The D7 hybrid is available in four loft options (19?, 22?, 25? and 28?) with the UST-Mamiya Recoil shaft in A-, R- and S- flexes at 65 grams. The grip is the Wilson Staff classic Lamkin Crossline pattern grip. Left handed versions are available in 19°, 22? and 25° loft options. On-sale from mid-January at an RRP of £129 (€149). “The design of the D7 fairways and hybrids are based on comprehensive research and analysis of the golf market. Golfers of all abilities will benefit from RE-AKT Technology, along with the confidence-inspiring looks at address,” said Doug Wright, Global Commercial Director at Wilson Golf. For more information on the Wilson Staff D7 range, plus balls, clubs and accessories, visit www.wilson.com.